Looking for an educational and fun photo adventure? You’ve come to the right place. Click here for info. 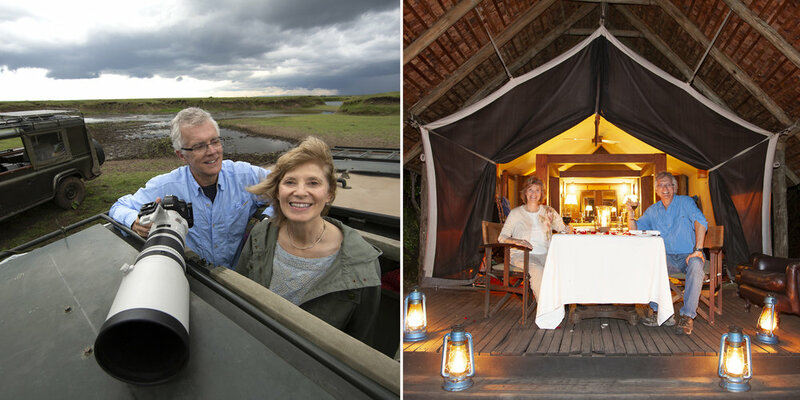 Private workshops and tours are also available – from Rick and Rick & Susan. Private on-line lessons - for photography and Photoshop – are also available, as are virtual photo workshops to Iceland and Route 66. "Hey Rick, What's your f-stop?" In this blog series I will share with you my goal and camera settings for some of my favorite recent photographs, which will be featured in my 37th book, Evolution of an Image . At the Canon booth at the 2018 Photo Plus show in NYC, Rick Sammon promised the audience that he’d give at least 10 tips during his presentation. Well, Rick actually gave 20 tips. Here they are! Note: For the portraits in this post, Rick used a Canon speedlite in a Westcott Apollo Soft Box. 2) Be aware of other lighting in the room; you want your speedites lights to be the main source of light. 3) Umbrella spreads light evenly; soft box allows you to control and shape the light. 4) If you want an interesting portrait, don’t light the subject’s entire face. 5) For a portrait with few shadows on your subject’s face, you want the subject’s nose to follow the light; have their nose face the lighting source. 6) The size of a subject’s pupils affects our impression of the subject. The advantage of using a speed light is that the pupil doesn’t have time to close down, making the photo more inviting. 7) Never touch the model. 8) The larger the light source, the softer the light. The closer the light source is to the subject, the softer the light. For a soft constant light source, check out this Westcott lighting kit. 9) In lighting, inches matter. 10) Shadows are the souls of the picture. 11) Never underestimate the value of a good model. 12) Use your camera like a drone - move the camera up and down to effect the viewer’s perception of the subject. If you move the camera down lower, the model has you get a greater sense of power. 14) Don’t amputate the subjects at the joints. 15) Name of the game is to fill the frame. Fill the frame with the subject. 16) The background can make or break the shot. 17) Most important thing in a photo is the mood/feeling. Backgrounds create moods. 18) Dead center is deadly. If you place the subject in the center of the frame, the viewer’s eye gets stuck on the subject and doesn’t look at other things in the photo. 19) Use gels over the light source (speed light) - red or blue to create an effect. 20) Focus on the subject’s eyes in a portrait. Want more tips on home studio portraits? Check out Rick’s KelbyOne on-line classes. Susan and I are heading out next week for another awesome road trip, where we’ll be exploring Utah’s State and National Parks. Photos to come. For now, I thought I’d share with you “what’s in my carry-on bag” to give you an idea of the gear I use for landscape photography - and why. Here goes. Canon R (mirrorless) with new 24-105mm IS lens - my new “go to” camera/lens for travel photography. Canon R lens adapter ring - so I can use all my Canon lenses on the R.
Canon 5D Mark IV - for shooting videos and stills. Canon 16-35mm lens - my main landscape lens. Canon 24-105mm IS lens - for tighter landscape shots. Two Canon battery chargers and a total of four batteries, so I always have power. Really Right Stuff ball head - in case my luggage is delayed, I can buy a tripod on site and still use my RRS ball head. I never lose site of my ball head. I do pack my tripod in my checked luggage. Delkin Devices SD and Compact Flash cards/card reader - to safeguard my photographs. Goblin Valley State Park, UT. Black Rapid strap - for easy camera handling when I am not using my tripod. Breakthough Photography magnetic ND and polarizing filters - for long exposures and to reduce glare/darken a blue sky. Two head-mounted flashlights - one for me, one for Susan. Canon G7 X - for fun shots along the road. Allen wrenches - for tightening my tripod legs and camera plates. Platypod - for low-level, creative shooting. Blower to keep my sensors clean - and lens cleaning cloths to keep my lenses clean. I have another bag for my computer stuff. So I have a total of two carry-on bags. 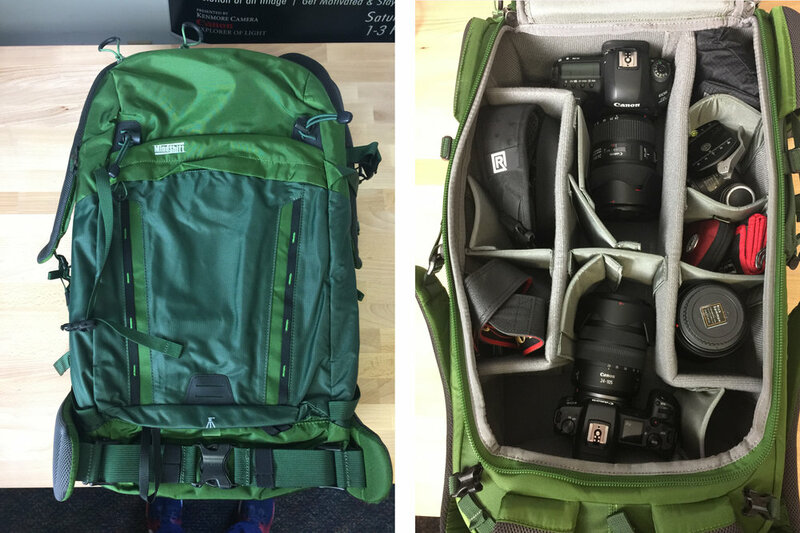 All this gear fits in my Backlight 26L MindShift camera bag, shown above. For great deals on gear, check out Adorama - more than a camera store. All my gear is listed here. Needs some tips on travel photography? 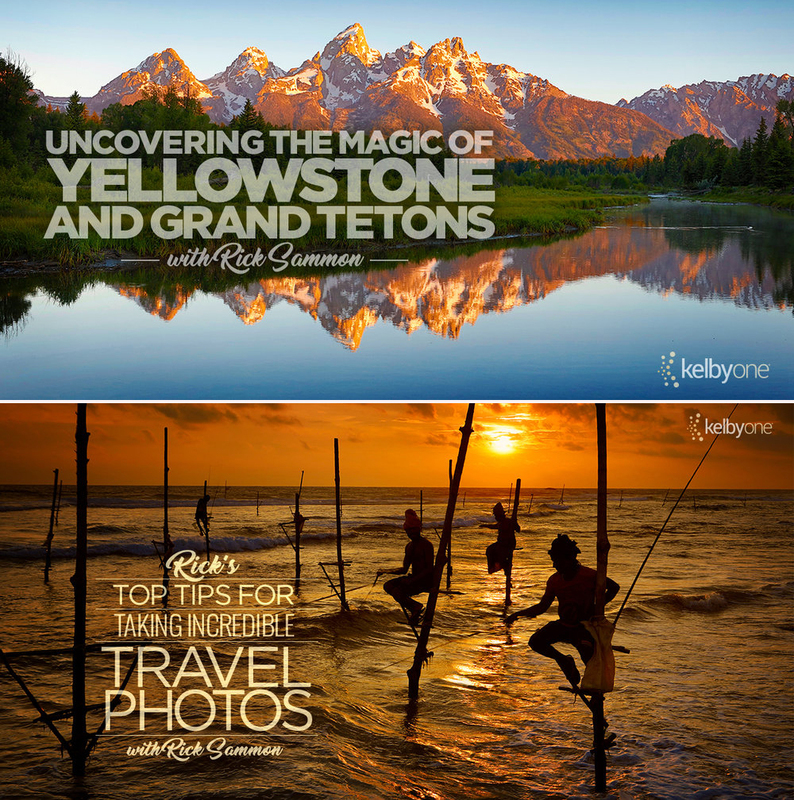 Check out my KelbyOne classes. If you love wildlife and nature photography, the rain forest and sea - and processing your images – my December 2019 Costa Rica photo workshop is for you. Here's the info. Location: Crocodile Bay – Five full days of photography! December 2 - Arrive in San Jose for Welcome Dinner (not included in price). Dec 3 - Morning flight o Crocodile Bay - workshop begins in the afternoon. Dec 4 to 7 - Full Day Workshop. Small group (10). December 8 - Optional sunrise shoot and then depart to San Jose. You may be able to make a connection back to your home city the same day. If not, you can stay overnight at the group hotel. Our travel agent - reservations@crocodilebay.com - will help you with your local air/hotel/airport transfers, etc. Limit: 10 participants for personal instructions by Rick. Photo Ops: Click here to see the kind of pictures you will make. • Telephoto shots of birds, monkeys, sloths, vipers, reptiles, flowers, plants and amphibians. • Daily processing sessions, group slide show. Fishing, boating, swimming and relaxing. • Black Rapid Strap ($75 value). • Adorama Gift Certificate ($50 value). For US residence only. • Delkin Devices SD Advantage 32GB Memory Card ($18 value). • Adorama Pix Gift Certificate ($25 value). For US residence only. • Rick’s 1-hour on-line class, Master Landscape & Seascape Photography ($20 value). • Discount code for $20 from Platypod. *San Jose travel pack includes pick up from SJO airport, shuttle to Cariari Double-Tree hotel, overnight stay, pick up back to airport in morning, flight down to Puerto Jimenez, flight back from Purerto Jimenez to SJO. Book directly with Crocodile Bay: reservations@crocodilebay.com. Ask for Kerem and say that you are on the Rick Sammon December 2 – 8, 2019 Photo Workshop. Let me know – via email – when you register. If you have questions for me, shoot me an email. I hope to see you in beautiful Costa Rica.